The two countries that call the Caribbean island of La Hispaniola home, Haiti and the Dominican Republic (DR), are geographically close, but have not always enjoyed a harmonious relationship. 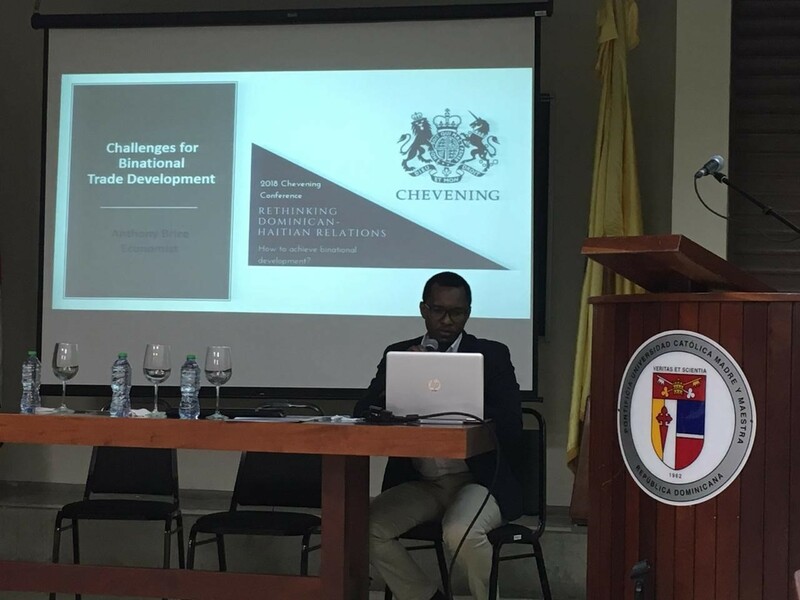 In November 2018, the Chevening Alliance for La Hispaniola organised a binational conference in Santo Domingo, bringing together alumni from these neighbouring nations to discuss challenges and opportunities for improving binational relations. This was the first time that Cheveners from the two sides of the island had ever gathered together. Alumni hoped that this event would kick-start a constructive dialogue, which could address some of the the misinformation and prejudices that have marred relations between the two countries for generations. Networking opportunities were a notable highlight of the event. Many attendees, Cheveners and non-Cheveners alike, acknowledged the benefit of ‘third parties’, such as Chevening and the British Embassy, being involved with organising and hosting the event. This helped encourage more open and conciliatory viewpoints in tackling some of the more controversial issues at stake. By getting together in person, alumni had the opportunity to re-evaluate some of the myths and prejudices built around concepts of ‘Dominican-ness’ and ‘Haitian-ness’. The first sessions of the day helped identify misconceptions that attendees had about their neighbours. The intercultural leadership workshop then provided participants with the necessary tools for better dialogue and understanding of leadership roles in mixed contexts. Attendees expressed interest in establishing a think tank that could generate research and analysis to counteract misinformation. If this initiative was to be composed of young leaders from DR and Haiti, and sponsored by a third party, it could have potential to have greater impact than other similar projects in the past. The prospect of international partnerships and exchanges were also discussed. It was revealed that intercultural youth programmes, AFS and Global Shapers, have expressed strong interest in developing a joint initiative to allow students or young teachers to spend a short period in Dominican and Haitian educational institutions. It was agreed that combining education with intercultural understanding is key to improve binational dialogue in the long term. It was also highlighted that binational mechanisms to counteract environmental degradation and climate change must be improved immediately. Private initiatives that would compel individuals to act against climate change from a binational perspective were proposed as a key area of interest. However, attendees pointed out that these kinds of progressive initiatives cannot flourish without an improvement in the democratic/ rule of law indexes of both countries. This requires increased accountability, and development of official channels of dialogue, such as through the Binational Commission. Support from external governments, and from local civil-society initiatives, were seen as integral to achieving these goals. 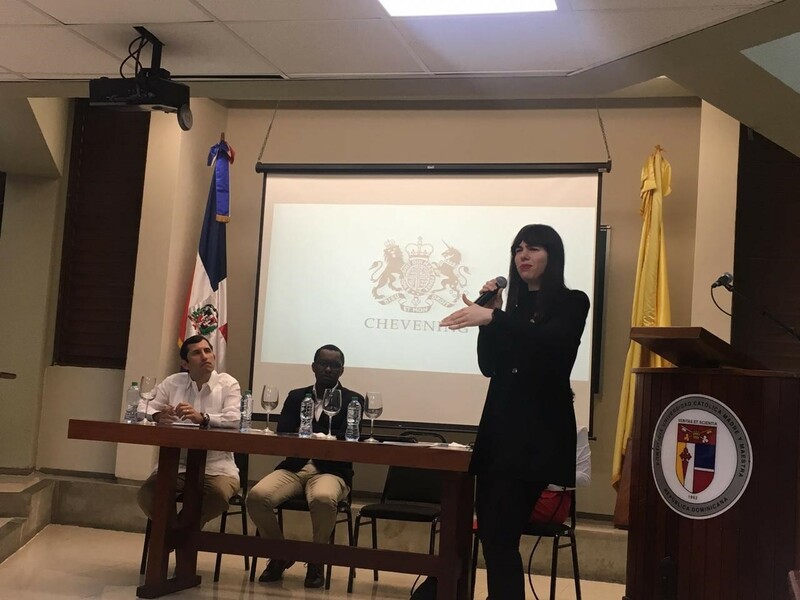 The creation of the Chevening Alliance for La Hispaniola is an important step on the path to improving cross-border relations. The Alliance has resolved to take this initiative forward, alternating meetings between the two capitals, and sharing information from this inaugural conference through a range of channels.